Stingrays Live App: Livestream from the California Academy of Sciences’ Ray Tank! One of my favorite exhibits at the California Academy of Sciences is the Reef Lagoon tank, which houses a wide variety of rays — Cownose, Blue-spotted ribbontail, Honeycomb, and Bluespotted. Rays are the best! We have had a live cam from our reef lagoon on our website for awhile now. So calming and beautiful, right? 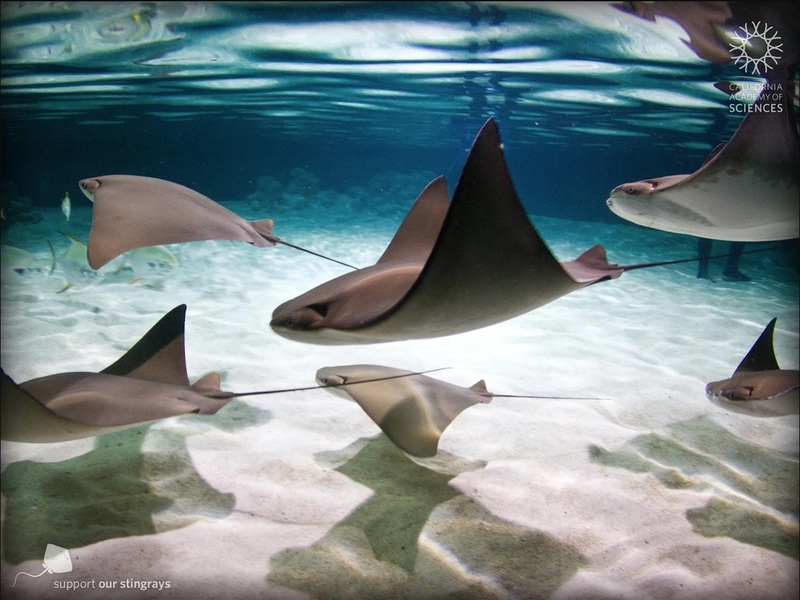 Now you can have this live view into our ray tank on your iOS device, Android device or AppleTV! "Stingrays Live" was released toward the end of 2017, and I just put this on my phone and AppleTV. I'm looking forward to many evenings vegging out to this on my TV at home. Next ArticleBEASTBOX: Make Your Own Dope Nature Jams!